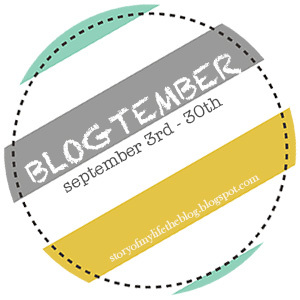 I'm back for another day of Blogtember. I have really enjoyed seeing lots of my blog friends participating in this challenge! It will be fun getting to know each other a little bit better. Day 2: If you could take three months off from your current life and do anything in the world, what would you do? It's funny that this is a topic in the Blogtember challenge because I literally think about this pretty often. If I was given the chance to take 3 months off from life I would HANDS DOWN spend it in Nicaragua. I went to Nica for spring break in 2011 and I want to go back again REALLY bad. It was really nice to spend a week in a third world country where it didn't matter what you looked like, it didn't matter what you wore, no one knew what was "popular" or "cool" because that wasn't what was important to them. It was so nice to not worry about checking my phone every 5 seconds. It was nice to just live and not worry about the things that consume us in America. I have so much love in my heart for that country and its people. What an honor and a privilege to be able to do something like that. I'm sure they taught you as much as you taught them. Look at those precious babies! That sounds (and looks) like a great experience!! Loved that trip! I think about it all the time too!! I'm Back + Weekend Recap!